The United States healthcare system is in the midst of a technological revolution. Less than a decade ago, a majority of doctors maintained patient data using only paper documents. 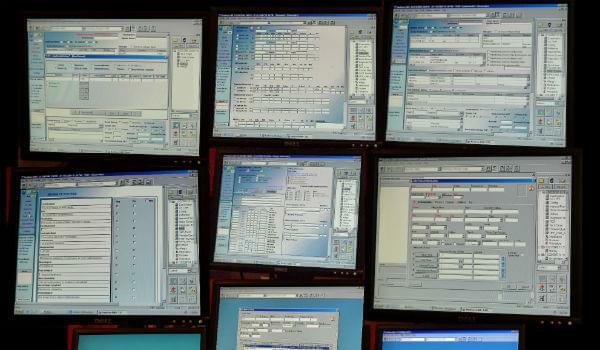 Now, electronic health records are one of the most prevalent technologies in medicine. Besides reducing errors related to the upkeep of paper records, EHRs feature a number of important tools designed to help providers deliver optimal care. Predicted to grow to a global market worth over $500 million by 2018, clinical decision support software (CDSS) is a common EHR feature that helps physicians make more informed decisions at the point of care. Specifically, CDSS can help physicians prepare a diagnosis or review their diagnosis in order to prevent things such as harmful drug interactions. The increase in electronic health records in the United States means providers must now store, and analyze an unprecedented amount of patient data. A good CDSS can draw from this data to aid physicians in making a diagnosis, or checking a diagnosis against a list of possible complications based on the patient’s medical history. The actual functions of a CDSS depend on when it’s used in the point-of-care process. Utilizing a CDSS pre-diagnosis can help providers gather relevant data and establish a line of reasoning for the actual diagnosis. Using a CDSS during the diagnosis allows physicians to filter their initial results based on the system’s recommendations, which often improves the final result. After the diagnosis has been made, physicians can use a clinical decision support tool to draw further insight from a patient’s medical data. CDSS systems come in two main types: knowledge based-systems and non-knowledge-based systems. A CDSS that uses a knowledge base utilizes a series of rules, or If — then functions. These systems take a diagnosis and return relevant information by mining the patient’s health history or even clinical research papers. In order to return logical results, these systems rely on problem and medication lists. CDSS systems that don’t use a knowledge base rely on machine learning, a sophisticated form of artificial intelligence in which the software actually uses past results to improve its future recommendations. Both types of CDSS usually work through the use of alerts, which remind the physician of a recommended treatment or warn of a possible medical risk associated with a treatment. CDSS are one of the best quality control functions available in healthcare IT. At a documentation level, CDSS can check a physician’s diagnosis against a patient’s problem list, or their record of active and resolved health issues. The same logic applies when physicians prescribe a medication. A CDSS can check a patient’s medication list and return data on past and current medications, as well as recommended dosage. By referencing these important aspects of a patient’s medical record, CDSS assist providers in reducing the likelihood of adverse events, or unintended consequences of treatment. Clincal decision systems also help to spread new clinical research. Using traditional methods, it can take as long as 17 years for new, peer-reviewed research to make its way into clinical practices. This delay is detrimental to patient care, and means doctors don’t have access to the current best practices. CDSS can integrate new clinical research directly into the point of care process by comparing the provider’s diagnosis against recently published papers. In a recent review of 100 studies, it was determined that CDSS use improved physician performance in 64% of the studies. With the ever-growing amount of healthcare research, CDSS tools can quickly help physicians access critical information to better inform their treatment decisions. Although CDSS exist as standalone platforms, studies have shown that CDSS embedded in Computerized Physician Order Entry programs or EHRs have a greater impact on physician performance. Integrated support reduces the need for physicians to change programs in the middle of their diagnosis, which improves user experience and increases the likelihood of adoption. Meaningful Use Stage 1 required that providers implement CDSS in at least one instance related to high clinical priority or specialty intervention. Stage 2 asks providers to implement five CDSS rules related to at least four clinical quality measures that utilize drug-to-drug and drug-to-allergy rules. CDSS are just one of many functions that EHRs provide to hospitals and physicians, but will be one of the most prominent features in improving care in the coming years. Do you think CDSS will change healthcare for the better? Let us know in the comments, or head over to the product selection tool to see the best EHRs for clinical decision support.